Memoirs of a Madcap Musicmaker Madly Musicmaking and Making Mad Music (Est. 2004): Coming Up...! Decided to put together a concert to help raise some funds for my brother, who has health issues related to his diabetes. So this is happening ina couple of weeks!! 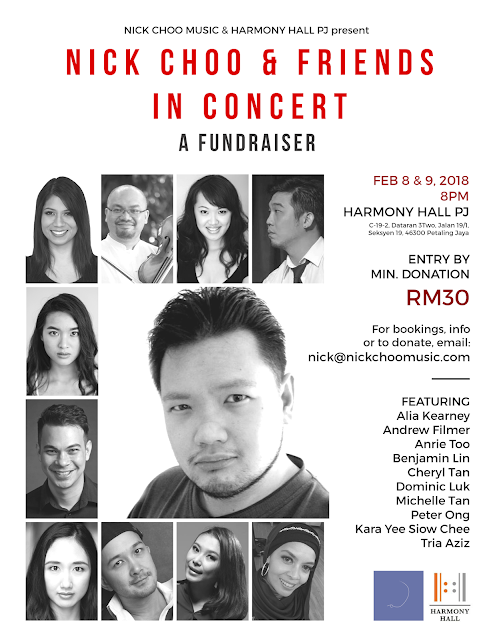 More updates to come, but in the meantime, if you're in KL/PJ and would like to support this show – or if you'd just like to contribute financially – please feel free to drop me an email at the addy in the poster below. Thank you, everyone!